DUP leader Arlene Foster has told the Taoiseach it is not appropriate for him to chart the future of negotiations to restore Stormont power-sharing. Mrs Foster insisted that role lay firmly with the UK government after Leo Varadkar said the Irish and British governments might table their own joint proposals as a way to break the political deadlock. However, she did welcome other remarks by the Taoiseach in which he acknowledged his government's stance on Brexit may have angered unionists. Mr Varadkar, who in a speech in Washington DC on Tuesday called for redoubling of efforts to restore devolution after Easter, suggested such an intervention could be a means to forge a deal between the DUP and Sinn Féin. Mrs Foster said it was not for the leader of the Republic to suggest the next steps in efforts to restore power-sharing. 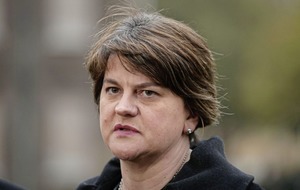 "In keeping with the principle of consent and the three-stranded approach (framework of the Good Friday Agreement) it is not appropriate for the Irish Prime Minister to outline future political steps relating to Northern Ireland and a resumption of talks," she said. "Whilst we will work with the Irish government on appropriate issues, the political process is an internal matter and should be taken forward by Her Majesty's Government." 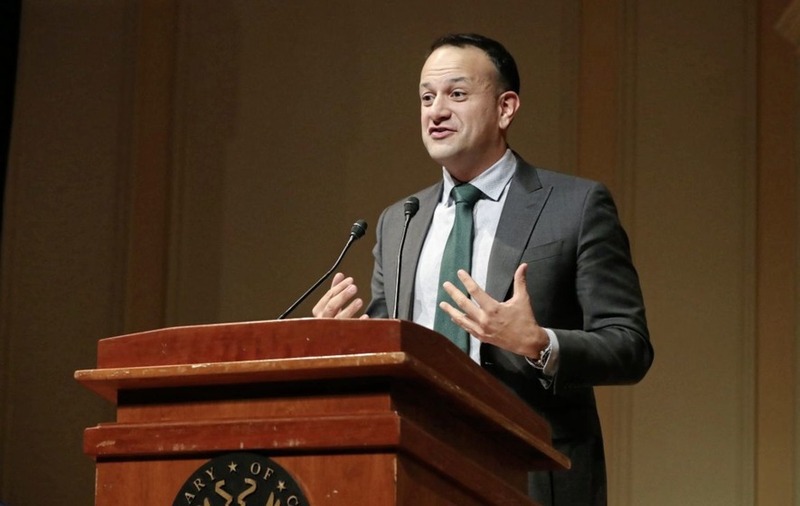 Mr Varadkar elaborated on his suggestion as he continued his St Patrick's Day tour of the US on Wednesday. "What I intend to do after Easter once this intense phase of Brexit passes with the EU summit at the end of the month, is to propose a new engagement with the British government for us to try once again after Easter to secure an agreement between the major parties and also all the parties in Northern Ireland," he said after an event at the US Chamber of Commerce in Washington. "Perhaps one of the best ways we can do this is through joint proposals, a joint paper from the two governments and (Northern Ireland Secretary) Karen Bradley is here in DC and I will have chance to mention that to her today." In a wide ranging speech at an event on Capitol Hill on Tuesday to mark the 20th anniversary of the Good Friday Agreement, the Taoiseach moved to reassure unionists who have been angered by his government's approach to Brexit. He acknowledged some comments might have been viewed as unwelcome or intrusive. "I want to repeat that we have no hidden agenda." The Irish government's efforts to maintain a soft border, in particular its demand that Northern Ireland continues to align with many EU regulations, has angered unionists who fear it is veiled attempt to push a united Ireland agenda. Mrs Foster welcomed Mr Varadkar's remarks. "I recognise and welcome the acknowledgement that many unionists have felt some actions and statements from the Irish government have not been helpful," said Mrs Foster. "I recognise too the concerns which exist, particularly within the Republic of Ireland, about Brexit. It is vital however that we work together to secure the best possible outcome for all our citizens. "In the past I and other DUP ministers did build up good and productive relationships with our counterparts in the Republic which was to the benefit of both countries. I hope the Taoiseach's comments can represent a return to that more positive working relationship." Meanwhile, former US president Bill Clinton has urged the north's politicians to use the anniversary of the Good Friday Agreement as a stimulus to save power-sharing. The US statesman described the signing of the accord in 1998 was one of the happiest days of his presidency. In a video message broadcast to a commemoration event in Washington DC, Mr Clinton acknowledged that, 20 years on, there was work to be done to salvage the institutions which the agreement created. "We know the progress that has been made has been imperilled by the consequences of recent events and the uncertainties of the Brexit vote," he said. "We also know in our heart of hearts that none of these problems is an excuse not to save, strengthen and build on the peace."